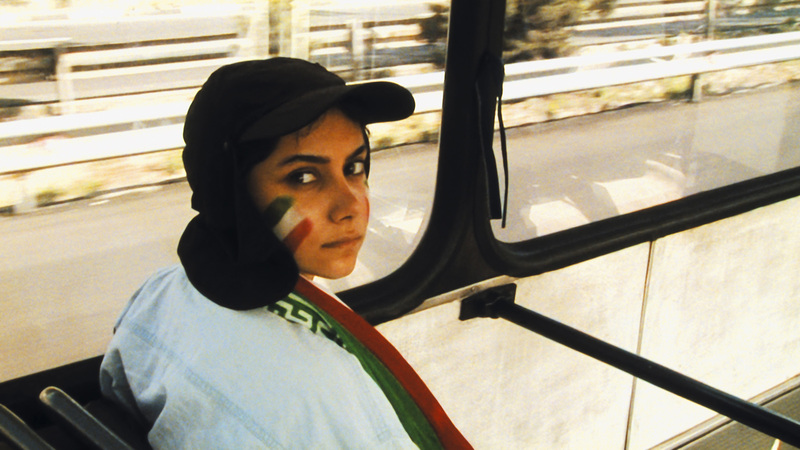 Jafar Panahi’s Berlin Silver Bear Winner depicts an incident during the 2005 World Cup qualification match between Iran and Bahrain. 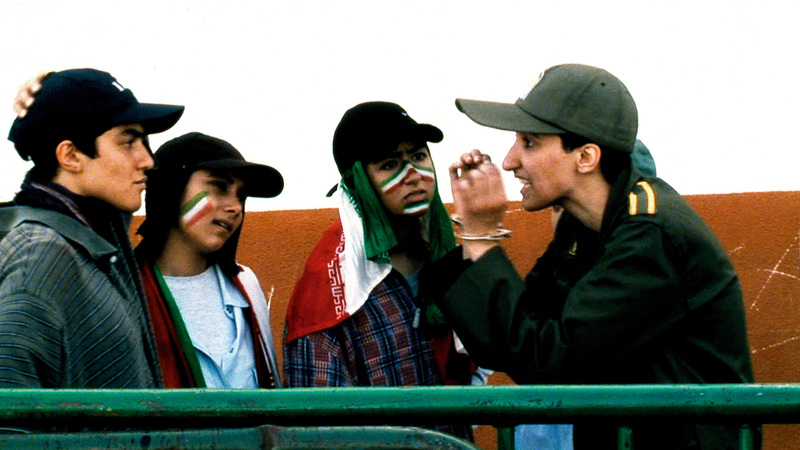 Jafar Panahi’s Berlin Silver Bear Winner (shared with ‘En Soap’ by Pernille Fischer Christensen) depicts an incident during the 2005 World Cup qualification match between Iran and Bahrain at the Azadi Stadium in Tehran. A girl disguised as a boy tries to gain entry to the stadium where the match is due to kick off. But women are not allowed there. 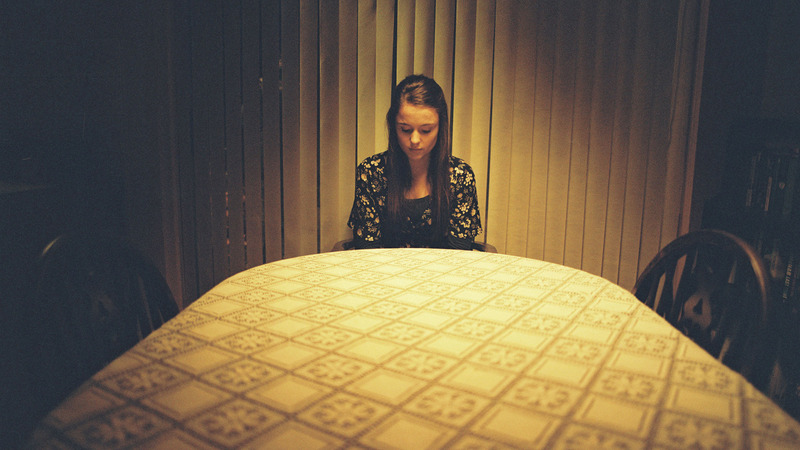 The girl is discovered. She is held for the duration of the match along with some street-smart female fans. 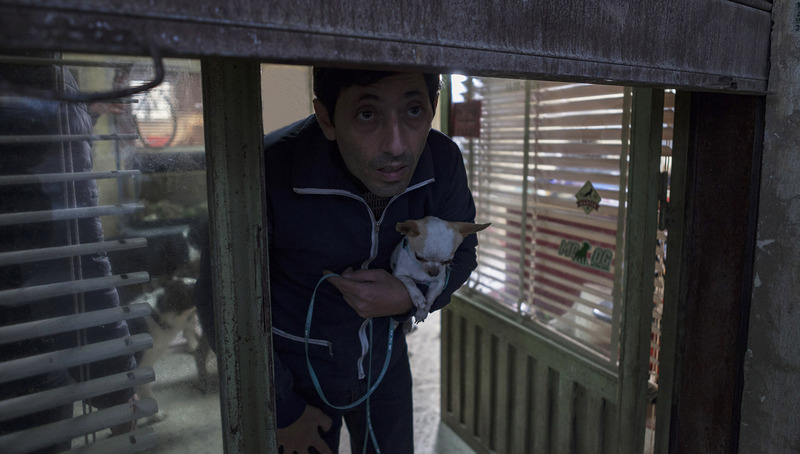 They are detained in an area where they can only hear the match. As they argue with the naïve soldiers who are their reluctant gaolers, the absurdity of the law is gradually revealed. 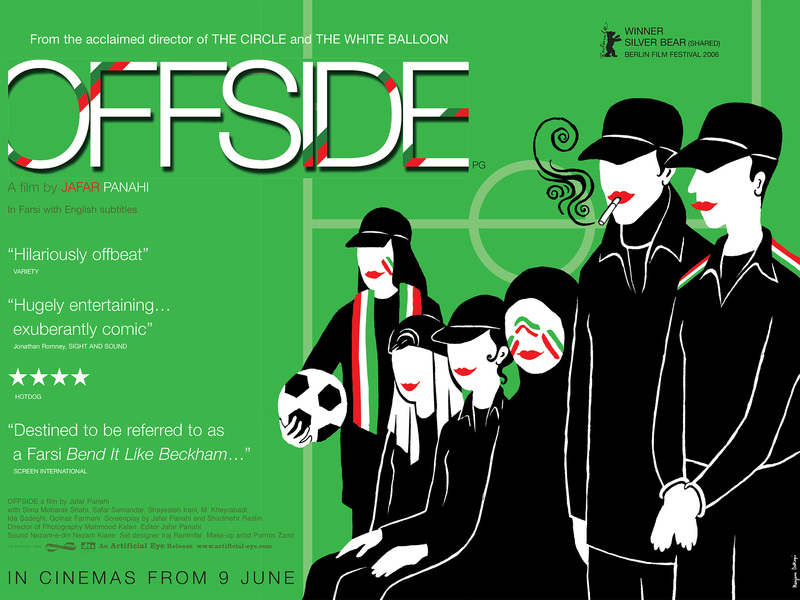 Offside is a hilarious, comic and hugely entertaining film, cleverly illustrating the fight for women’s rights in Iran. 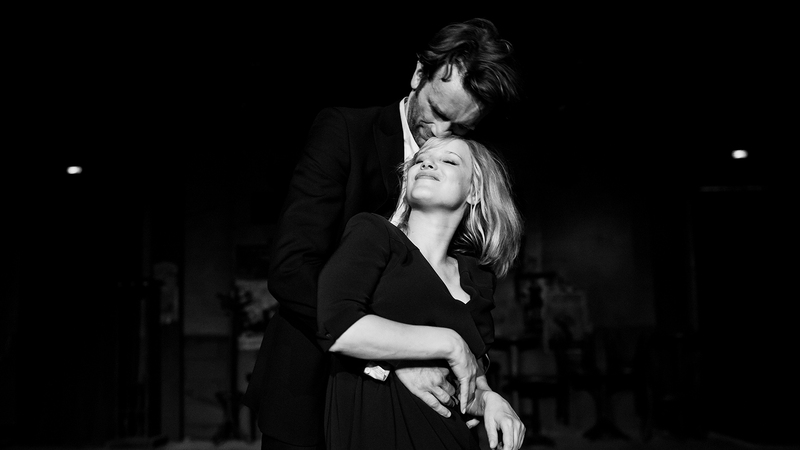 The director chose to use a non-professional cast to illustrate a real event, arguing that professional actors would have introduced a notion of falseness. 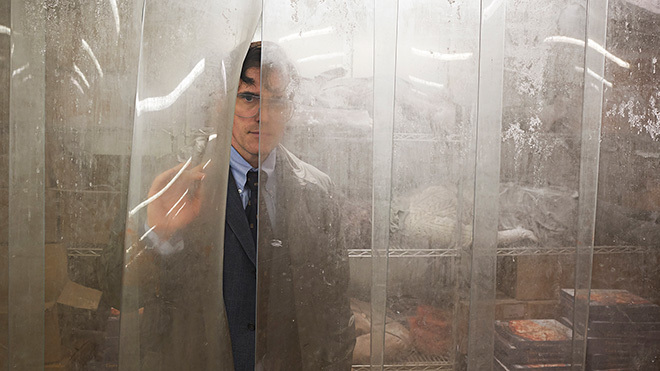 As the stakes increase, the film veers away from tension by showing the sheer absurdity of the situation. 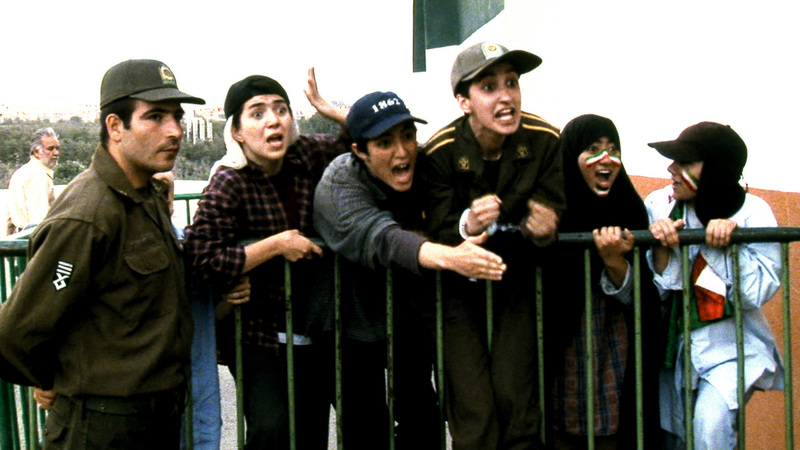 It is probably Jafar Panahi’s most accessible and spontaneous picture to date. 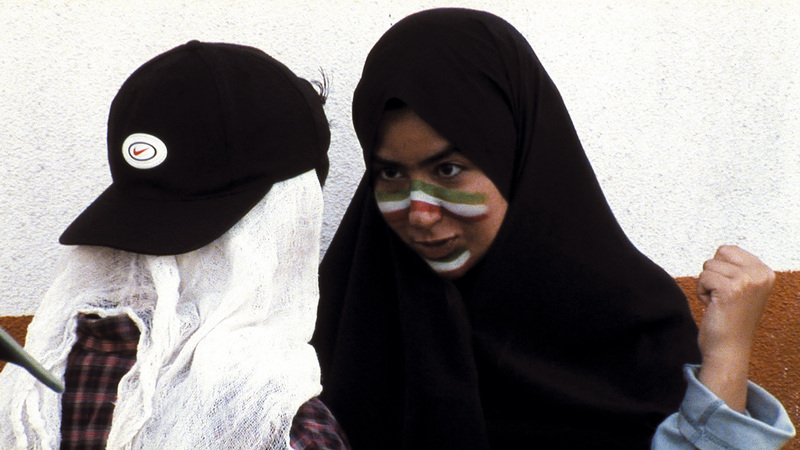 Offside highlights Iran’s strict segregation policies but deftly reveals the rebellion amongst young women, unwilling to bow to the strictures.